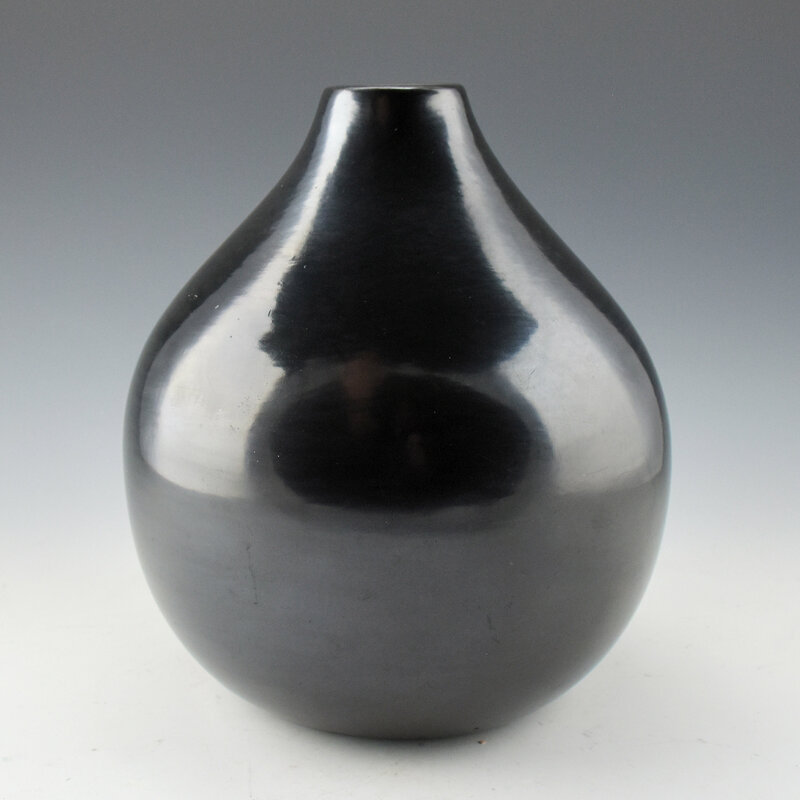 This is a distinctive plainware jar San Ildefono potter Rose Gonzales. 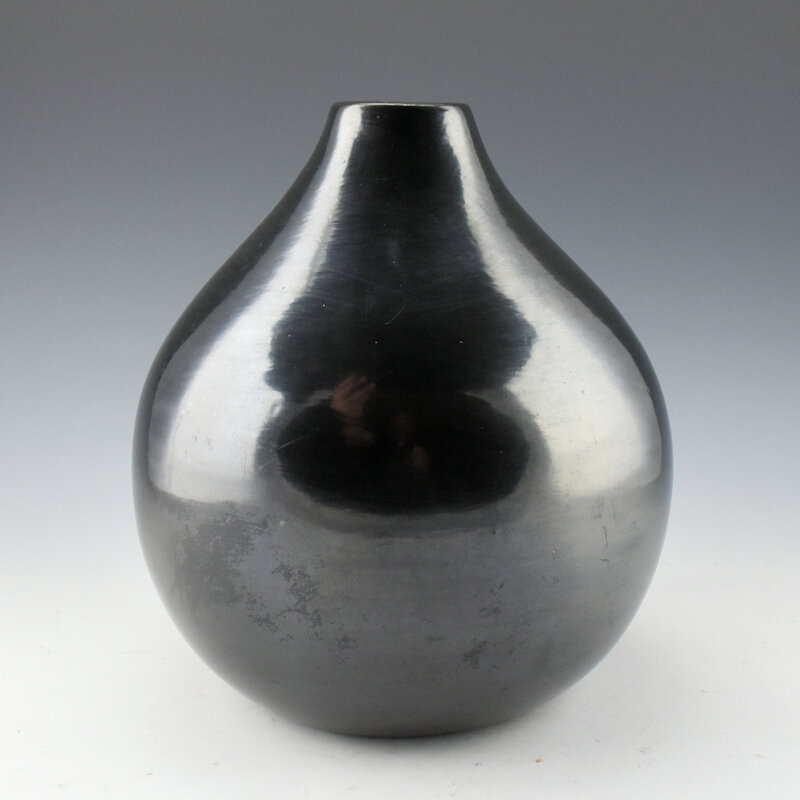 She is often considered the first at San Ildefonso Pueblo to make carved pottery. 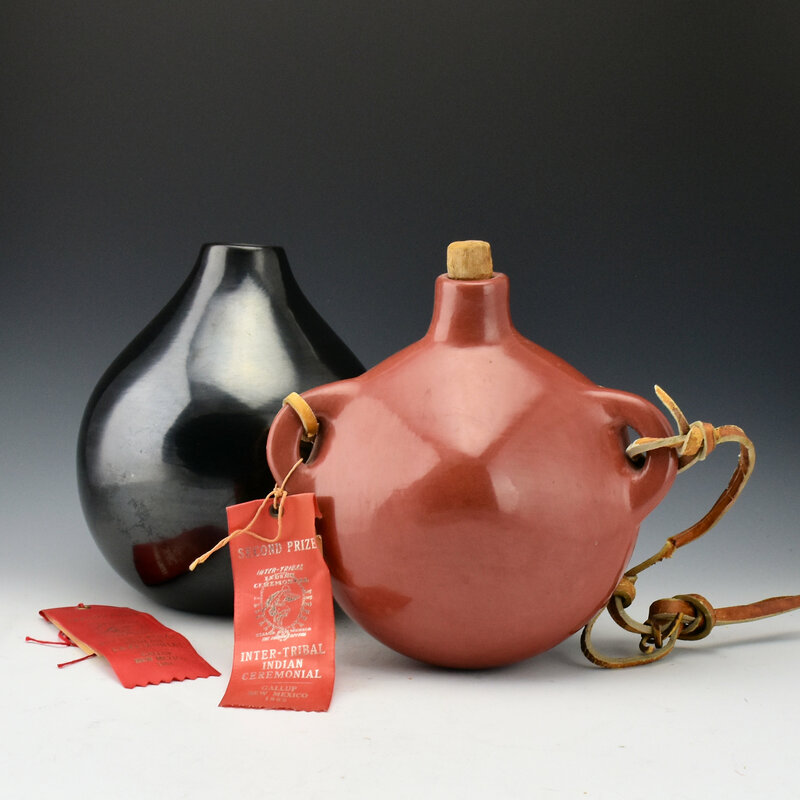 However, over the course of her career, she created a variety of styles including plainware, painted and carved pottery. 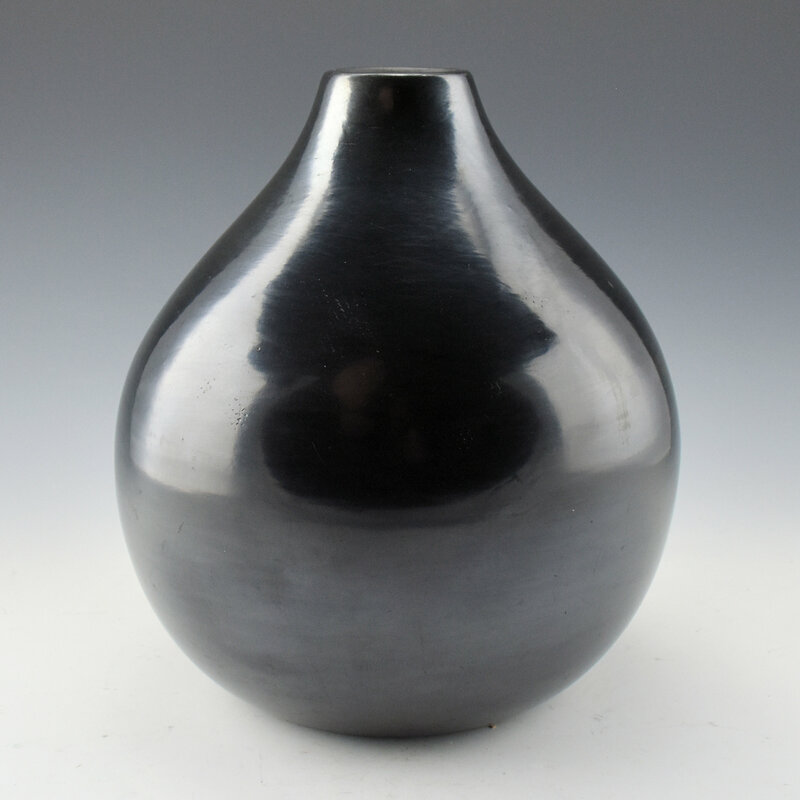 This jar is fully polished and fired black. 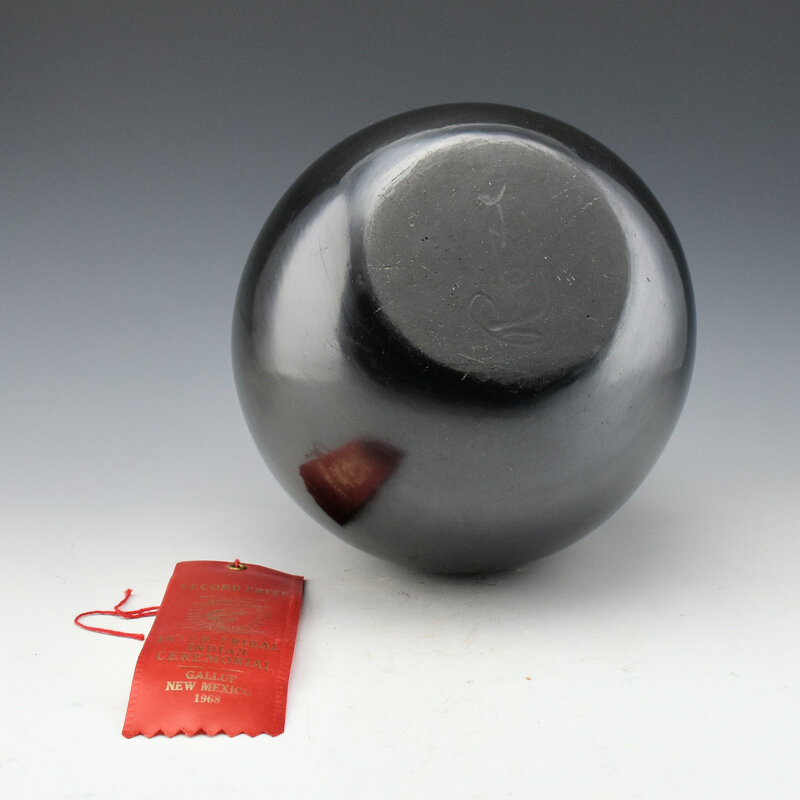 There is a slight gunmetal coloration to the surface. 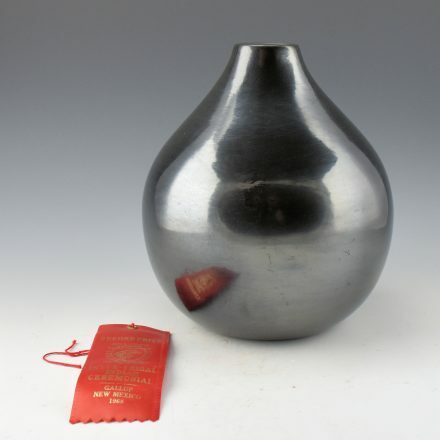 The jar won a second place ribbon at the 1968 Gallup Inter-Tribal Ceremonials. It is in very good condition with no chips, cracks, restoration or repair. It is signed on the bottom in the clay, “Rose”.